What does noise reduction rating (NRR) mean and why is it important when selecting hearing protection equipment? Noise Reduction Rating, or NRR, is a unit of measurement indicating the effectiveness of hearing protection devices. In other words, the NRR is a measure of how much the overall noise is reduced by the device. With about 30 million American workers exposed to hazardous noises annually, and 10 million of them suffering from noise-induced hearing loss, hearing protection has become an important occupational health concern. In fact, the World Health Organization deemed it the most common, permanent, and preventable occupational injury in the world (see more in Noise: The Safety Hazard 10 Million Workers Are Exposed to Every Year). Consequences of exposure to high noise levels include physical and psychological stress, reduction in concentration, loss of productivity, and increased likelihood of workplace accidents. Repeated exposure can lead to a ringing in the ear, called tinnitus, and even permanent hearing loss (see The Effects of Noise on the Body: Why Everyone Needs Hearing Protection). You’re probably wondering how much is too much. The National Institute for Occupational Safety and Health (NIOSH) recommends that noise be kept to a maximum of 85 dB over a period of 8 hours. This is roughly equivalent to the sound of a backhoe and represents moderate discomfort for our ears. For comparison purposes, a lawn mower is about 90 dB, a chain saw is 100 dB, and a jackhammer is on the more damaging end at 110 dB. Per EPA requirements, every hearing protection device should have an NRR rating between 0 and 34 on the package; the greater the number, the more effective the device. To determine the decibel deduction applied by using the device, take the NRR number and subtract 7, then divide by 2. For example, if a device has an NRR of 23, the actual noise reduction would be (23-7)/2 = 8. So, if you were consistently exposed to the sound of shop tools at 90 dB, this device would reduce that noise to about 82 dB, bringing it within the acceptable range for an 8-hour workday. I can’t stress enough that hearing protection devices are only as effective as the NRR score indicates when worn 100 percent of the time. Over the course of an 8-hour work day, studies show that efficacy drops to less than half when the worker is without protection for just 30 minutes. When choosing a hearing protection device, the NRR is not the be all and end all. The big picture of the environment also needs to be considered in order to get a clear idea of whether workers will be using their equipment to its utmost effectiveness. Be sure to consider the potential noise in the environment and the comfort of the device as this will be a factor in compliance. Removing the device to communicate also affects its effectiveness, so that must be taken into account as well. In general, the NRR is a useful tool for determining the type of hearing protection device to employ as part of a broad safety program that considers the routines and environments of the workers needing protection. 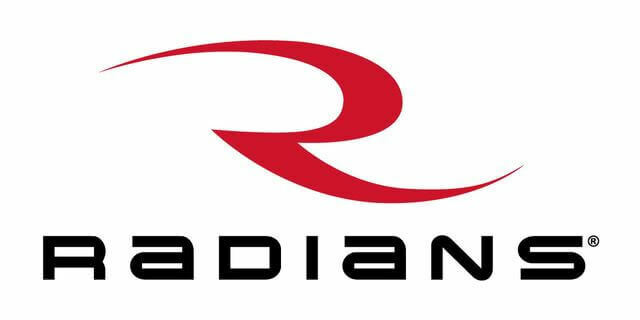 If you want to learn more about the importance of Noise Reduction Ratings in hearing protection, please read the Radians white paper at http://www.radians.com/nrr/. Have a question? Ask Chris here. View all questions from Chris O'Donnell.